Our Beavers meet on a Tuesday evening, Cubs on a Thursday evening and Scouts on a Monday evening during term time. Most meetings take place in and around Caxton, Longstowe and Bourn, with occasional trips further afield for special events, weekend activities or camps. Parents often organise lift shares for these. Our subs are currently £35 per child per term, with some activities, such as camps or activity days, charged extra. However, the cost of subs or activities is never a bar to participation for any Beaver, Cub or Scout. Please contact our treasurer if you have any difficulties, which will be treated confidentially. 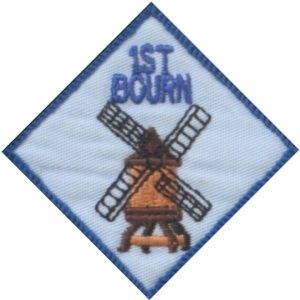 If your child is already a member of 1st Bourn, you should have an account with Online Scout Manager. Log in here to access this term's programme information, your child's badge progress and details of any forthcoming events. If your child is a member of 1st Bourn, you can access our Facebook page. Please note that this is a closed group and if you have not visited it before, you will need to seek permission to join from the page administrator. Public access is not permitted. You can access a list of FAQs related to Scouting in general (but not specific to 1st Bourn) here.